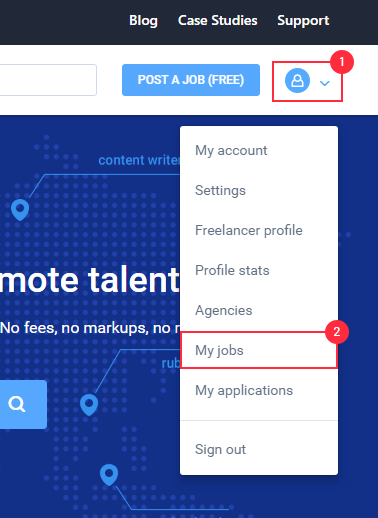 To view how many applicants already applied to your job posting, go to your Jobs page by clicking on your avatar on the top right corner of the page and choose “My jobs”. 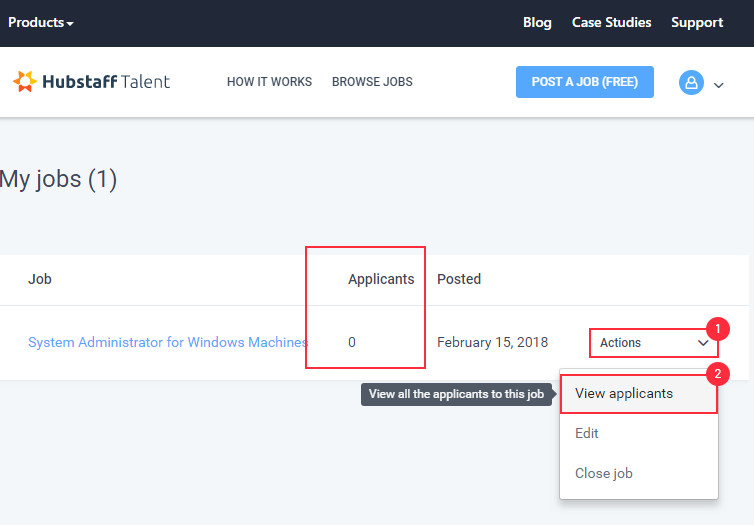 On the jobs page, you will see the number of applicants you have under the applicants column, and you can choose to view your applicants via the button towards the right of the job. On the applicants page you can filter by their ratings, only invited applicants and by the status of the applicant’s application for the job. You can also rate the applicants with a thumbs up/down in the left column or by using the actions drop down on the right. You also can choose to contact the applicant which will let you send an email to them or view the applicant’s Talent profile using the actions drop down menu.